QR codes campaigns have become extremely popular because they are easy to create, edit and track. The report details information such as overall barcode scanning trends, mobile operating systems scanning shares, representative demographics of users, and activities of overall states and/or countries with the highest scanning utilization. 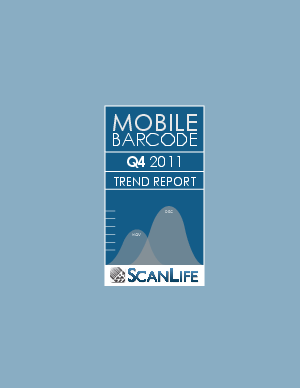 The report is in a series from Scanbuy that provides a comprehensive look at how actual users are engaged in mobile barcode scanning today and how, over time these reports will allow partners to see the trends and patterns in usage to help marketers and advertiser more wisely spent their marketing dollars.